The days grow shorter and the nights become colder, and before you know it the holidays are upon us. Even small household accidents become tragedies when they involve your family or guests. Entertaining overnight guests may create a little extra stress for the household. Take time to prepare your home for the holidays, so everyone can be nestled all snug in their beds. 1. Prepare the Family – With all the excitement of pending visitors, every household member needs to know what to expect. Try to keep the everyday routine as normal as possible. Remind everyone of the changes that may have to be made to keep the guests comfortable and safe. This may mean giving up a bed or room to grandparents or putting toys with small parts away where toddlers can’t reach them. If guests will be coming and going while you are not home, you may need to inform the neighbors so that there will be no problems with mistaken identity. 2. Prepare the Guests – Once your visitors have arrived, review your family emergency escape plan with them. Show them where the fire extinguishers and first-aid kits are kept. Keep essential phone numbers nearby or program their cell phones. If it’s necessary to use a space heater, instruct them on its safe operation. If they will be on their own in the kitchen, review the workings of appliances like the stove, toaster, and coffee pot. 3. 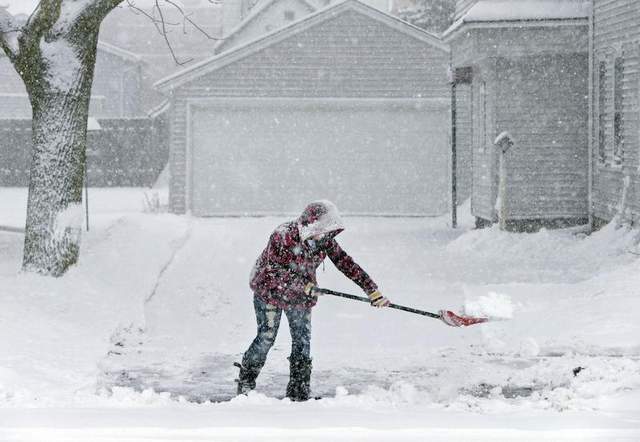 Prepare the House – Keep the outside walkways clear of snow and ice and also well lit. Remove any hazards that could cause tripping like throw rugs or runners. Locate nightlights to help nighttime navigation. Use nonslip mats in the bathtub and install grab bars if necessary. To protect youngsters, lock up anything toxic, like cleaning supplies and medicines. If you are not used to having children around, you may need to seek help in childproofing the house. Inspect smoke alarms and carbon monoxide detectors to make sure they are working. 4. Prepare the Decorations – Consider using flameless candles. If you must light up, keep candles high enough that pets and children can’t reach them but away from draperies and curtains. Place extension cords away from foot traffic, but do not place them under carpeting or area rugs. Be aware of the placement of glass ornaments so they are away from both pets’ and toddler’s reach. Refrain from using tinsel around pets and children as it can be toxic. Be aware that some holiday plants like poinsettias can be poisonous. Check with your guests about allergy information. Your beautiful live Christmas tree could cause them constant sneezing and wheezing. Keeping these tips in mind, we wish you and yours a safe and happy holiday season! If you are like most of us, you are likely to take at least one road trip during the holiday season to visit family or friends. Whether your road trip takes only a couple hours or a couple days on the road, The House Plan Shop believes these travel safety tips will help ensure a successful road trip this holiday season. 1. Give your car a checkup – Before setting out on your road trip, make sure your car is in good working condition. Be sure to get an oil change before you leave and check your antifreeze levels and tire pressure. 2. Prepare for cold weather – If you are traveling where it will be cold and snowy make sure you have plenty of window washer fluid. Be sure you have ice scrapers in your car as well as other emergency supplies for cold weather such as a thermal blanket, flashlights and even a set of jumper cables. 3. Plan your route – Map your route of travel. Check traffic websites for detours and construction zones. If your holiday road trip will take more than a day’s travel, make hotel reservations at establishments along your route. Don’t forget to pack your maps and hotel reservation confirmation numbers. 4. Prepare for kids and pets – If you are traveling with children or pets, road trips can be an adventure. Pack drinks and snacks for the kids as well as entertainment – books, games, a favorite stuffed animal, DVDs, music, etc. As for your pets, don’t forget to pack food and any medications your pets may need. 5. Know the best time to drive – Traffic and roadway research shows roadways are safest to travel during the day. The most dangerous times to travel are early in the morning and late at night when drivers are more likely to be intoxicated or tired. It is recommended to travel between 7:00 am and 10:00 pm. Depart early and plan to be at your destination or hotel before it gets too late. AND…don’t forget to buckle up! 6. No alcohol – It is illegal and it is not safe to drink and drive. Research concludes even one alcoholic drink is enough to cause important changes in cognition, which can affect your ability to drive. Just wait until you arrive at your destination and enjoy a holiday drink with friends and family. 7. Take breaks – When taking a road trip it is necessary to give your body and mind a break. Pull over in a safe place about every 3 hours for 5-10 minutes to recharge your body, stretch your legs, give your eyes a quick break. Grab a snack, a soda or even lunch if necessary. If you are traveling with multiple drivers, drive in shifts so no one experiences fatigue. 8. Wake up or catch up on sleep – Statistics report in 2009 alone over 100,000 car crashes were due to drowsy driving. If you are driving in shifts with another driver, take a nap while the other person is behind the wheel. If not, pull over in a safe well-lit place and take a quick power nap. But perhaps the best idea is plan to check into your hotel early in the evening so you can go to bed early and catch up on sleep for the next day’s drive. The holidays are a wonderful time for everyone. Make sure you and your loved ones enjoy them by staying safe when taking a holiday road trip. The holidays are approaching quickly and it is easy to get caught up in the festivities of the season, but this is no time to let your guard down when it comes to following safe practices. 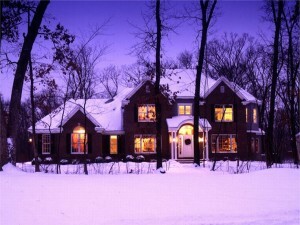 The House Plan Shop has five holiday safety tips for you to review. Keep them in mind this holiday season. 1. Practice Fire Safety – Most residential fires occur during the winter months and with extra activities to attend and plenty of family and friends stopping by to visit, it is easy to forget about fire safety. If you burn candles in your home, keep them away from holiday trees, curtains, blankets, and walking paths such as the hallway and other high traffic areas. Most importantly keep them out of reach of children and pets. Do not leave fireplaces, space heaters, candles and stoves unattended. Do not use grills, generators or other gasoline- or charcoal-burning devices inside your home, including the garage and basement. Make sure smoke detectors and carbon monoxide detectors are working properly. 2. Prevent Injuries – Injuries can occur anywhere at any time including during the holidays. 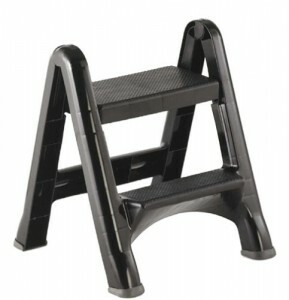 Use a step stool instead of furniture when hanging holiday decorations. Make sure your ladder is secure before climbing to the rooftop to hang holiday lights. Leave the fireworks to the professionals. 3. Keep an Eye on the Kids – With so much happening during the holidays, it is easy to get caught up in a conversation with Aunt Jane whom you haven’t seen since last year or have fun participating in the events at a holiday party. But remember if the kids are with you, you must keep a watchful eye. Whether they are eating, playing or watching a movie with their cousins in the other room, you should know what your kids are doing at all times. Keep potentially dangerous items such as toys, food, drinks and other hazardous household items out of reach. Make sure toys and game pieces are used properly. If your kids have any food allergies, make sure to check out all food items and drinks that are served at any holiday gathering you attend and help your child make healthy decisions about what to eat. 4. Practice Travel Safety – Whether your holiday travels take you across town or completely across the country, practice safe travel habits. Do not drink and drive. Always buckle up. Make sure your child is properly fastened in his/her car seat, booster seat or just buckled in properly according to child safety laws. Also, make sure your car is in good working order and be prepared for inclement weather. 5. Be Healthy – The holidays can make it hard to follow your normal daily routine, so make sure you continue to practice good habits for your health. Wash hands often. Dress warm in cold climates and stay dry. Cook foods to their proper temperatures. Make sure to schedule some down time in your busy schedule to relax and regroup. Most importantly make sure the whole family gets plenty of rest. These simple tips will help ensure you and your family will enjoy a safe holiday season. With the holidays quickly approaching, our focus turns toward celebrating the joys of the season making it easy to forget the holiday season is also a time or opportunity for potential burglars. So, while you are preparing for upcoming dinner parties and holiday gatherings, don’t forget to take time to protect your home. According to a retired veteran of the police force many people let their guard down during the holiday season thinking crime won’t happen to them. In reality, all of us are at risk. So what can you do to protect your home? Below are seven tips to help protect your home and belongings during the holiday season. 1. Get in the habit of changing your view on safety every year when you start changing your everyday home décor to holiday themes. And better still, modesty and simplicity is the best policy. Expensive holiday decorations and elaborate holiday light displays can signal to criminals there may be valuables inside your home making it worth the criminal’s time to break-in. Furthermore, leaving wrapped gifts under the tree in full view from exterior windows and doors make a welcome invitation for thieves. Instead of placing packages under the tree, keep them tucked away in closets and attics out of sight until the last minute. This is one of the easiest safety precautions to follow. 2. Keep your home well-lit and well-groomed inside and out. Not only will your home look nice from the street but it is an important safety measure. The more lighting you have in your home and yard, the less places for criminals and thieves to lurk and hide. In addition, tree branches should be trimmed up at least six feet off the ground and shrubs and bushes trimmed down to no more than three feet tall. This allows a clear view of your yard from inside the house and from the street minimizing places for burglars and thieves to hide. 3. Whether you are at home or out on a quick trip to the grocery store, keep all windows and doors locked including the garage door and the service door between the garage and the home. Burglars know the holiday season is an opportune time for breaking-in as many homes have extra valuables inside not to mention extra cash on hand. 4. If you plan on traveling for the holidays take advantage of a home security system if possible. If you already have one, you’re in good shape. If you don’t have a home security system, consider installing one. It is a worthwhile investment. If you cannot afford a security system, set your lights and TVs on timers. Have them turn on and off in various parts of the home throughout the day and evening. Ask a trusted neighbor to park in your driveway occasionally to give the appearance that someone is coming and going from your home. Also ask a neighbor to collect the mail and newspapers or stop these services during the time you will be traveling. Notify your local police department and them know the dates you’ll be gone. Ask them to drive past your house occasionally. 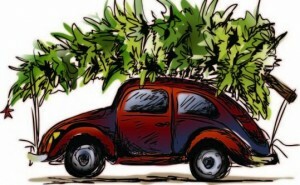 If you decide have a neighbor park in your driveway, identify the vehicle to the police. 5. If you are traveling during the holiday season, only mention your trip to those who absolutely must know you’ll be gone. Likewise, do not post this information via social media networks such as Twitter and Facebook. It doesn’t take much legwork for potential burglars to identify you and figure out your address. 6. In a similar manner, do not mention valuable gifts using social media. A post like, “Got a 52-inch flat screen,” becomes common knowledge instantly. If a criminal is watching your house, the minute you leave to go to work, the post office or a holiday party, your new flat screen is as good as gone. 7. And for those who don’t use social media, don’t be so sure the public doesn’t know about your 52-inch flat screen. As soon as you put the empty box next to the trash can at the curb, the whole neighborhood will know what is inside your house. Be cautious when throwing away packaging from “big ticket” items. Burglars know what to look for. If they notice any packaging from valuable items with your curbside trash, you are inviting them inside. Instead of throwing away the whole box, break the box down. Cut it up in smaller pieces and dispose of it a little bit at a time as not to draw attention to it. If you can, recycle a few pieces of the box each week instead of throwing it away. While you may be looking forward to celebrating the holiday season, The House Plan Shop recommends you add these home safety precautions to your holiday “to-do” list.